training uniform or summer competitions. This kimono has the same one-piece top design as our famous Kikskin double-weave. 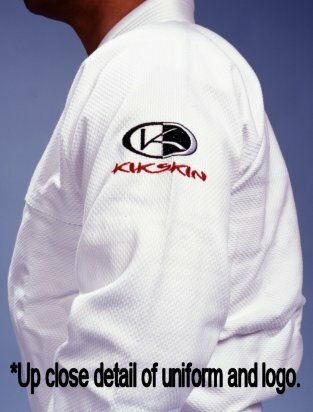 This gi is bleached white and has red embroidered logos on each sleeve. Includes white belt. 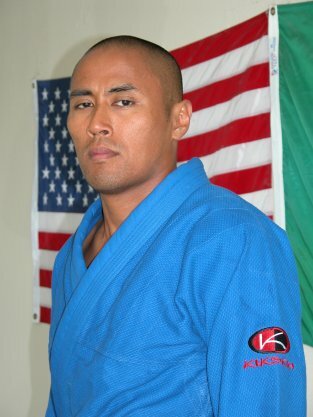 Kikskin introduces its new Single-Weave Blue Jiu Jitsu Gi with red, black, and white embroidered logos. The Single-Weave Blue is the traditional Brazilian - Cut design with a reinforced one-piece top. Pants have Dual-Layer design with thick Twilltape drawcord for durability. 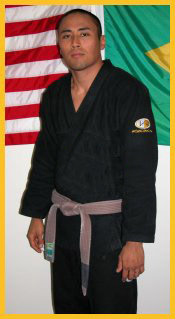 This uniform is ideal for everyday training or hot weather competitions. Kikskin introduces its new Single-Weave Black Jiu Jitsu Gi with gold, white, and black embroidered logos. The Single-Weave Black is the traditional Brazilian - Cut design with a reinforced one-piece top. 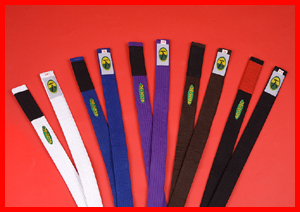 Pants have Dual-Layer design with thick Twilltape drawcord for durability. This uniform is ideal for everyday training or hot weather competitions. 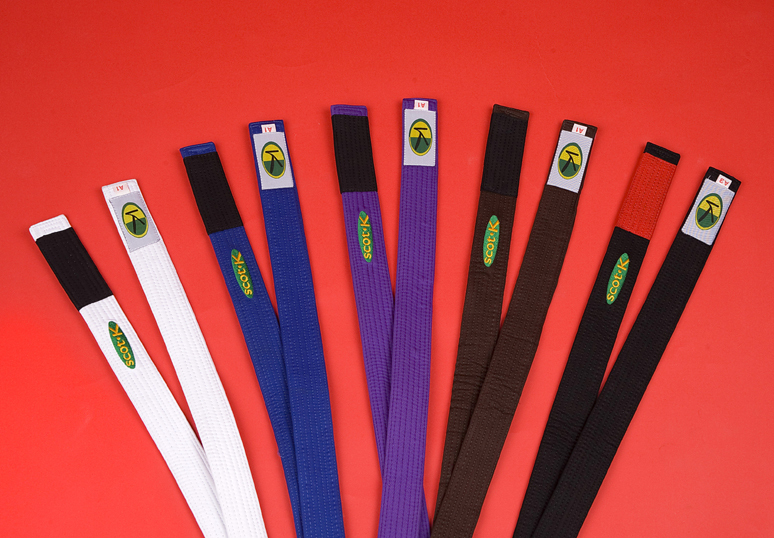 Gi belts with embroidered scot K logo and circle-k logo label.